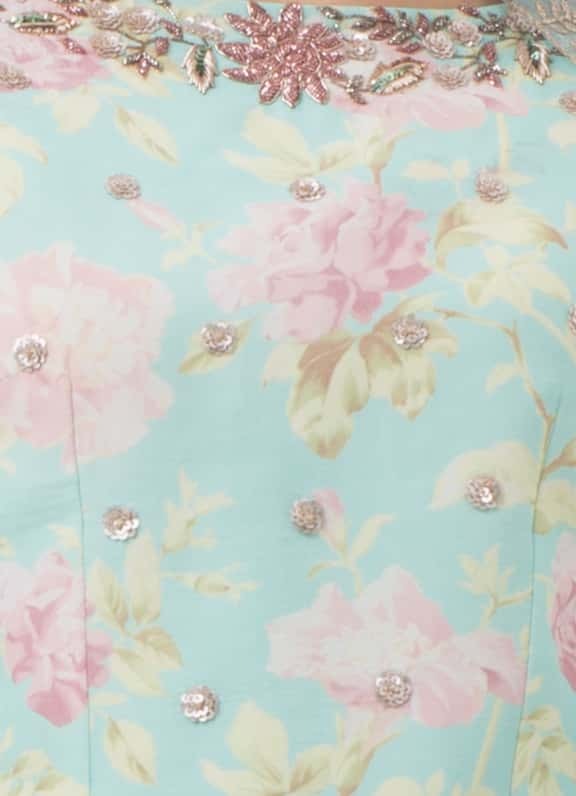 This baby blue floral print sharara has sequins and dabka work on the neck, hem and sleeves; the sharara is a blend of cotton-satin fabric. 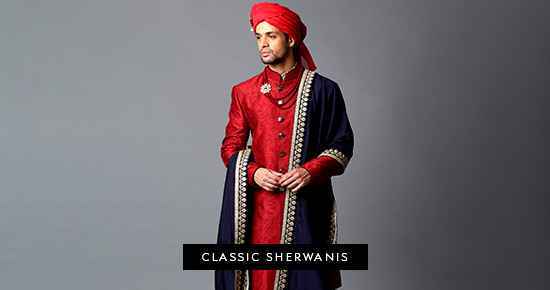 It comes with a net dupatta with a border all around. 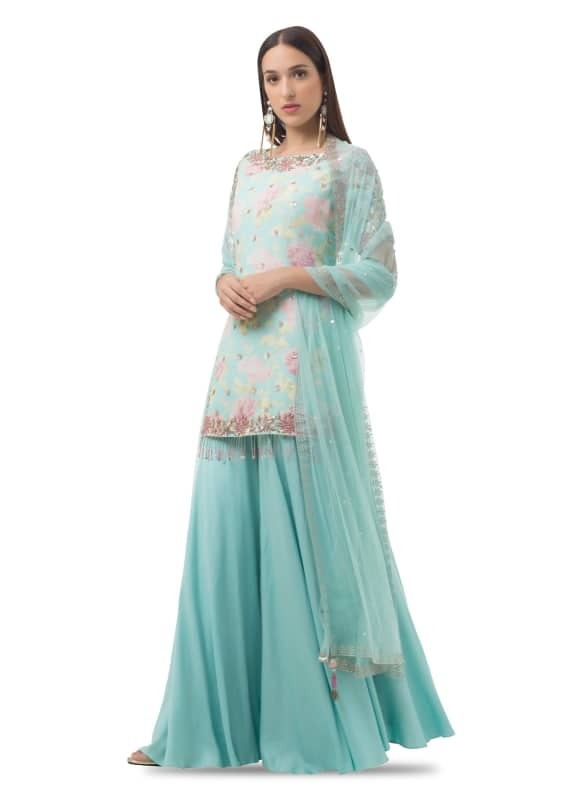 Feminine and fun, this baby blue floral sharara is perfect for a Diwali party or Lohri night. Style the look with a pair of earrings by Outhouse.